(1) We are MYARF (Myanmar Youth Activists for Rohingya Freedom), a non-profit ground-based organization. Our organization was formed after the 2012's Rakhine Crisis. We have been sharing the accurate information to International Human Rights Organizations about the inhumane killings and Human Rights abuses of Myanmar's Armed Forces on Rohingya people. By digging up the truth, we on time have covered the real event of 2016's October 9th violence. Moreover, we have been keeping on the update information of daily abuses on Rohingyas in Northern Rakhine State. (2) Since decades, we the Rohingyas living in Northern Rakhine State have been suffering the plight of persecution. Since 2012's violence, we have been suffering the intensive brutalities on each day. On the other hand, we almost Rohingyas were announced as stateless by Myanmar's government. Being the stateless and suffered unbearable persecution, Rohingyas has formed ARSA aiming to defense for themselves. Later on, there was attack between ARSA and Myanmar's Armed Forces in last 9th October, 2016. And the persecution on Rohingyas have counted as the most unbearable. (3) On 24th of August, 2017, there was clash between ARSA and Myanmar's Armed Forces at night again. Then Myanmar's Armed Forces have been raiding across the Rohingya villages and shooting to the villagers whom they see. Yesterday within 24-hours, at least 100 innocent Rohingya villagers including children were shot to dead and 300 Rohingya houses were burnt down firing the launchers by Myanmar's Armed Forces. The account of home-leaving Rohingyas to nearby mountain could be thousands now. There in mountain, children are without food to eat and water to drink since yesterday. All are frantic now there in rain. (4) It is known that Myanmar government releases the news viral as terrorists by killing innocent Rohingya old men, women and children. 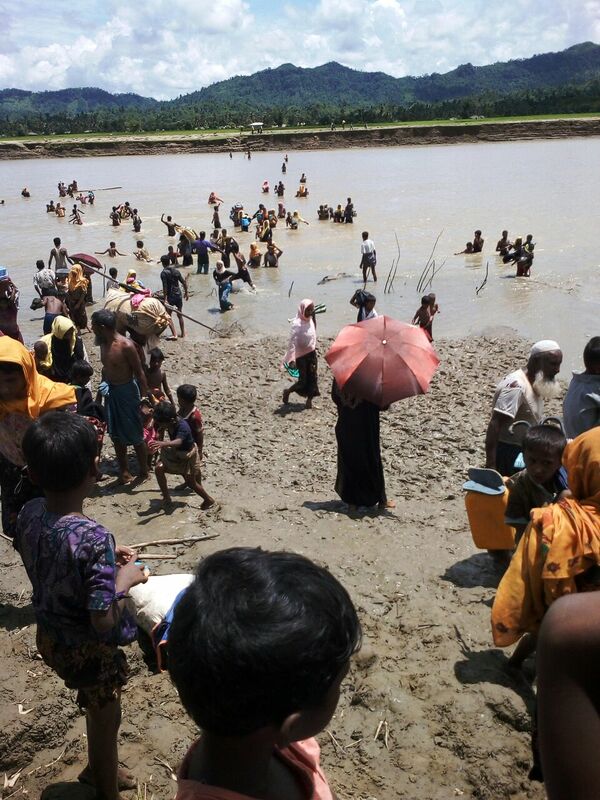 Thus, Rohingya villagers become so helpless now. Despite seeing no way to move anywhere, now Rohingyas are facing starving. Helplessly, we all Rohingya in Northern Rakhine State worry now for when we be killed. (5) If the international organizations fail to protect us today, tomorrow the numbers of dead would be thousands. We therefore wholeheartedly appeal the international organizations to protect us immediately before the mass killing going on us. It is the heartfelt appeal of those Rohingya minority whom you, the international organizations defined as the world's most persecuted. Let's us hope for your saving hands immediately!